Uttermost's Art Combines Premium Quality Materials With Unique High-style Design. Rich, Earth Tone Colors Are Used In This Hand Painted Artwork On Canvas Featuring Vivid Gold Leaf Accents. 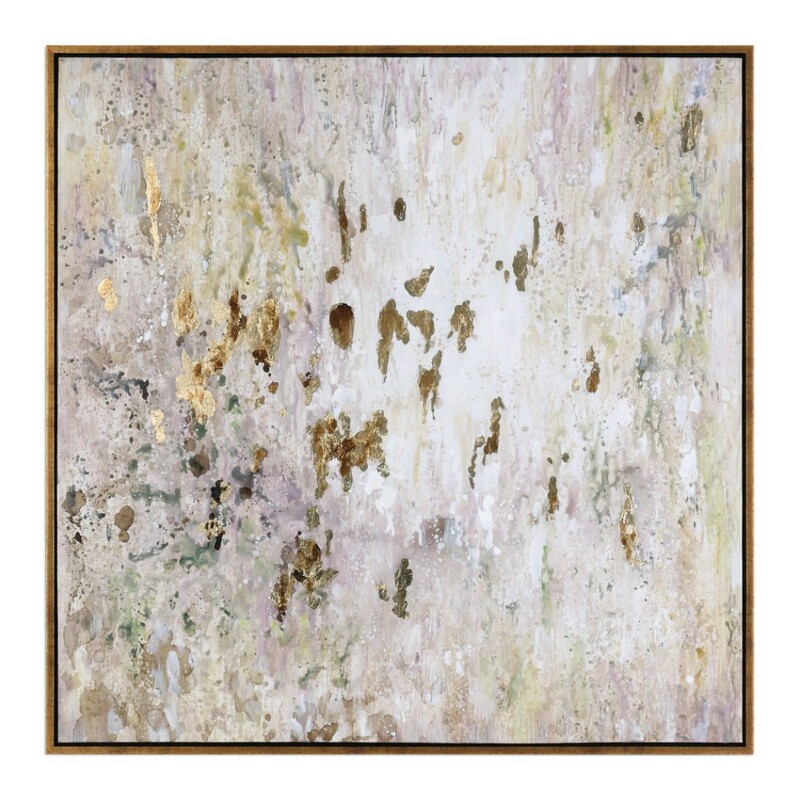 Canvas Is Stretched And Attached To Wooden Stretching Bars Then Surrounded By A Heavily Distressed, Mottled Gold Leaf Frame. Due To The Handcrafted Nature Of This Artwork, Each Piece May Have Subtle Differences. 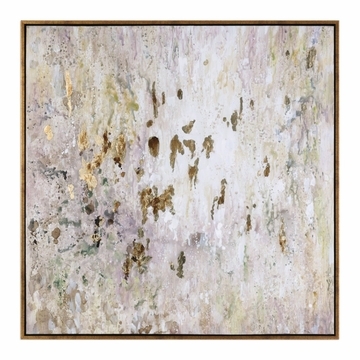 Champagne Silver Leaf Frame Surrounding Hand Painted Canvas. Gold Leaf Accents On Canvas. Bob and Belle Cooper founded The Uttermost Company in 1975, and it is still 100% owned by the Cooper family. The Uttermost mission is simple and timeless: to make great home accessories at reasonable prices. Inspired by award-winning designers, custom finishes, innovative product engineering and advanced packaging reinforcement, Uttermost continues to deliver on this mission. For over 30 years, Uttermost has enjoyed steady growth with over 200 employees working in its Rocky Mount, Virginia factories totaling 600,000 square feet. It also has a factory in China and a state-of-the-art West Coast distribution center for increased capacity and faster shipping to West Coast retailers and customers. Uttermost is proud to support many of the world's most prestigious home-furnishing customers with its products and services. Uttermost believes its success is largely based on its commitment to three key principles: proving superior customer service, maximizing product value through great design and sharp pricing, and treating its employees, sales representatives, and designers as partners in business.